The Wireless Trolley Speaker has the function of music playing. Plug microphone enables to enlarge the voice received from the mic and lower the music volume. The portable speaker 12v easy to move or handle, equipped with wireless and remote control for great convenience. 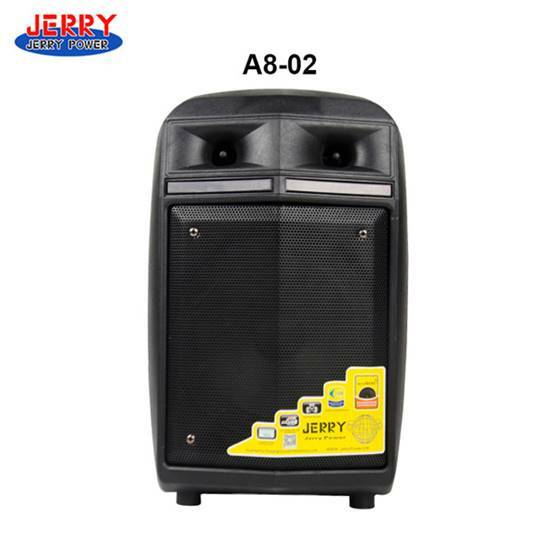 The portable speaker is 30w making you enjoy the strong bass, clear and rich vocal, and makes it filled with your house, bedroom, party, etc. The lever-type speaker design is designed for high power and high volume, making it suitable for noisy on-site environments. Its endurance performance allows you to enjoy music outdoors. In addition, its portability and versatility make it suitable for different environments. 1. Strong anti-interference ability. It can make people sing and dance in the noisy environment, so it has strong anti-interference ability. 2. The sound quality is good. Its good sound quality can bring more passion and enthusiasm to people. 3. Bluetooth function. This kind of Wireless Trolley Speaker does not need to have a power connection, just need to connect to the phone with Bluetooth. 4. Long battery life, full power. It guarantees that many dances can be played normally.